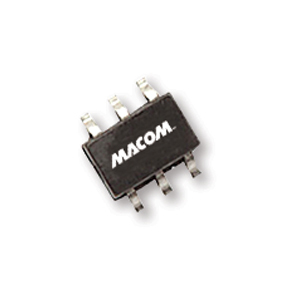 MACOM’s MADS-003000-1292LT and MADS-003000-1292HT are high performance silicon Schottky dual crossover quads. These parts are usable for a variety of mixer applications. The closely matched junctions minimize variation in capacitance, forward voltage and dynamic resistance within the four diodes in the quad. These diodes are available in a small profile surface mount package SOT-26 (ODS-1292). They are available in tape and reel for automatic pick and place assembly.